Grammy Award winner Mark Hanson, Oregon Music Hall of Fame member Terry Robb, and special guest Grammy Award winner Jeff Peterson come together for an evening of music for Acoustic Guitar Summit at the Walters Cultural Arts Center (527 E. Main St., Hillsboro) on Friday, May 3, at 7:30 p.m. “These are guitarists at the top of their form,” says The Dalles Chronicle. They bring a diverse repertoire to the stage with their impressive fingerstyle guitar and unique versions of favorites pulled from the catalogues of classic blues, jazz, and Hawaiian slack-key. Tickets for this performance are $18 advance or $22 the day of show. Musician and author Mark Hanson is an acclaimed performer, composer, and recording artist. His recordings appear regularly on NPR and are featured on syndicated radio and television programs such as “Martha Stewart Living” and “West Coast Live.” Hanson contributed two tracks, “The Sweetheart Tree” and “A Shot in the Dark,” performed with Doug Smith, to the compilation album “Henry Mancini: Pink Guitar,” winner of the 2005 Grammy Award for Best Pop Instrumental Album. 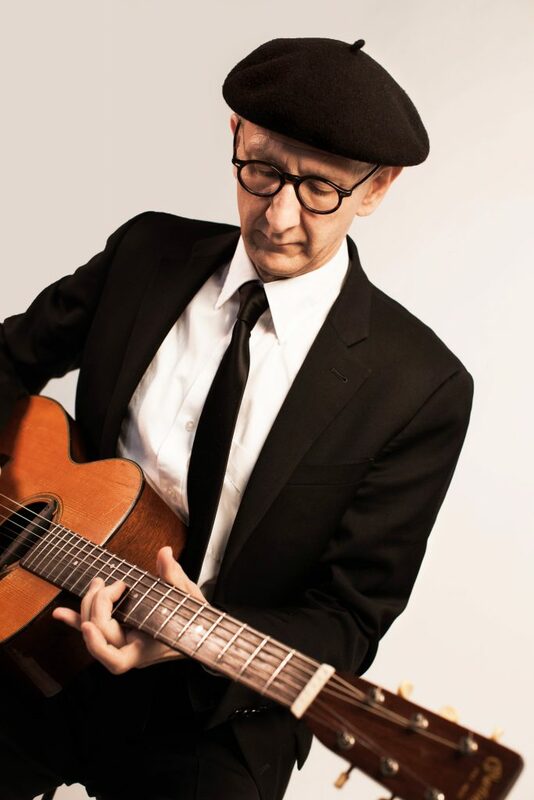 Terry Robb has long been considered one of the top acoustic blues guitarists in the U.S. His dynamic finger-picking style and ability have impressed audiences worldwide and earned him international acclaim. His ensemble playing showcases lightning-fast solos and adventurous improvisation. Drawing on Delta blues, ragtime, country, swing, and jazz, Robb builds on and extends tradition, lending his signature style to familiar progressions. Jeff Peterson has contributed to two Grammy Award-winning recordings and has been honored with nine Na Hōkū Hanohano Awards in Hawaii. His solo album, “Maui on My Mind,” was recognized as the Slack Key Album of the Year by the Na Hōkū Hanohano Awards and received a Grammy nomination for Best Hawaiian Music Album in 2010. Peterson found a wide audience when he was featured on the soundtrack for the film “The Descendants,” starring George Clooney. Peterson’s focus on slack-key guitar, classical, and jazz has allowed him to develop a unique musical voice while honoring the traditions of his Hawaiian heritage. More information about this performance and the 2018-19 Concert Series is available at Hillsboro-Oregon.gov/WaltersConcerts and tickets can be purchased online at BrownPaperTickets.com, by calling 503-615-3485, or in person at 527 E. Main St., Hillsboro. Concert concessions available from Longbottom Coffee and Tea. This concert is presented with thanks to series sponsor, Aloft Hillsboro-Beaverton. Cultural Arts is a division of the City of Hillsboro’s Parks & Recreation Department. For more information about Cultural Arts, visit Hillsboro-Oregon.gov/CulturalArts.